IT industry develops so fast and as a result, produces multiple new jobs. A bunch of professional days happened during last few months. We can't miss it, and hence we published a networking technologies quiz on SysAdmin day, shared links to interesting blogs on Blog day, and told stories about remarkable bugs on Tester's day. Today, September the 24th is a System Analyst day, and we will talk about people who are designing informational systems, working on processes automation to increase business efficiency. who creates technical and user's documentation. In real life, though the person who's doing all the above may not have a formal "system analyst" title. Different people play this system analyst role — talk to a customer, translate business requirements into technical ones, etc. Such people may have system architects, system administrators, business analysts, software developers, technical writers or even technical directors positions. If you're doing this job — despite your official title — congratulations! 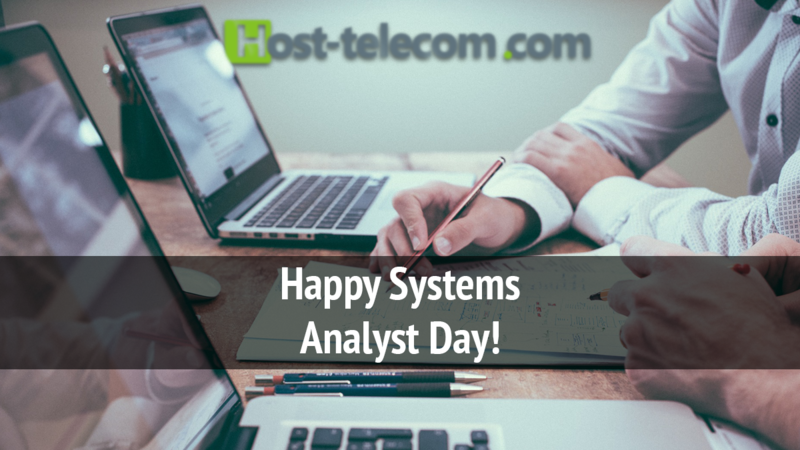 Today we’re happy to congratulate our dear colleagues, system analytics at Host-Telecom, who’re not only focused on our internal processes automation but ready to help our customers to improve their IT infrastructure!